Ezekiel Emanuel believes there is no reason to live beyond 75 and will decline all preventive care and treatment. His reasoning is that 75 year olds are over the hill, not as healthy, vibrant, creative and so on. 75 is enough. Why should we care? If that’s what he thinks, that’s his business. There are good reasons we should care. Emanuel was a Health Policy advisor to the Obama administration, and he constantly involves himself in other policy-making activities. He is influential. His latest bombshell, in the October issue of Atlantic was: “Why I Hope to Die At 75.” His principal rationale it seems, is that 75 year olds are past their prime, no longer contributing, developing chronic disease, and so on. He makes a huge and unjustified assumption that life after 75 cannot be healthy and vibrant; that it will be a dreary slog to an end likely prolonged by unpleasant and costly medical procedures. He swears up and down that starting at 75, he will decline all exams, all procedures, making as a sole exception pain medication as necessary. Now while this end-of-the-road reasoning is 18 years away for Emanuel it is only a few for the writers of these posts, and we can strongly assure our readers that we haven’t the least intentions of cashing out at 75, that we have endless forward looking projects and activities planned, and that we cannot comprehend how anyone in good health could possibly conclude that the value of life at 75 is essentially fully spent. Is all this about the cost? This is hard to ignore, though there is little mention of it in the article. In any case costs are high, perhaps twice as high as they should be, given the colossal inefficiencies of the American medical system. But this cost is not government largesse. We spent all our ‘useful’ years paying into the grand health kitty. Where does Emanuel think the money came from? Is it no longer ours? And yes, aging is not for the squeamish. Beyond a certain point, mid forties perhaps, you should take personal control of your health. But if you do, that glide path needn’t end at 75, or even 85 or higher. This is just insanity. We have today a situation where a vast majority of Americans are dying of chronic disease. Now blame should go where blame is due, but U.S. government policy has no small role in this. From the initial recommendations in the 70’s, the US government has done nothing but damage. The food pyramid has killed millions. Sanctioned price gouging by big pharma has priced numerous life saving drugs out of reach for many. Uncontrolled factory produced food and unhealthy factory meat, millions more. We have made everybody sick. What now? Lets just pull the plug at 75 is the wrong answer. This is insanity. Get some sense into health standards for food. Get some sense into treatment, into recommendations. Put a lid on costs. France covers 100% of their population cradle to grave on 11% of their GNP. We pay close to twice that and what does that buy us?. France’s health care system is ranked #1 in the world. What, we are not #1? Mighty America! Well surely we are #2 or #3. Sorry my fellow Americans, we are not even in the top two dozen. We are number 37 according to the World Health Organization. We may fare better on other lists, but we are very reliably in the back of the pack for the ‘developed’ world. Sorry. Never in the history of healthcare have so many paid so much for so little. Why are we getting the shaft? 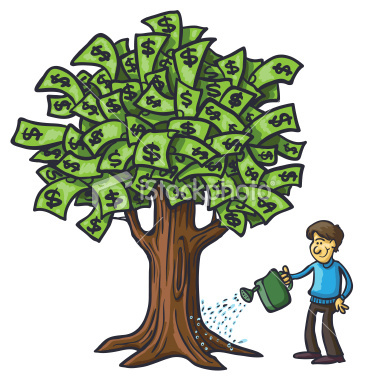 Big Insurance, Big Pharma, and Big Medical all see the American population as a giant money tree. And they have enough political clout to keep that tree watered and tended. That’s a lot of it. Gilead has a new and wonderful drug called Sovaldi. It cures Hepatitis C. It is a life saver. Cost of the treatment $84,000. Gilead’s cost $14,000. Gilead’s profit $70,000. Could this possibly be moral or ethical? How many cannot afford it? Or have to give up their life savings to get it? Insurance is no solution. 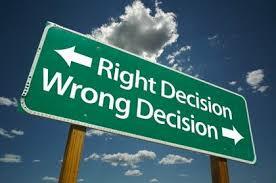 One way or another we pay – directly or via the insurance. Do we spread the pain, or stick it to the unlucky? Some choice. And Gilead is sitting on so much money that they are buying back their own stock. They have nothing better to spend it on. But we couldn’t consider any sort of law that would put a clamp on this could we? It’s not the American Way. We are a free market country. We don’t restrict businesses. Apparently, we do restrict the customers though. We individuals don’t have the buying potential to negotiate, but one big insurer who does, Medicare, could easily force lower prices, but they don’t. Why? They are forbidden by law to do so. We will let the reader speculate who benefits from that law. Canada, with a much smaller population manages to negotiate prices that are 40% of America’s. Less than half. See for yourself. Check out the Canadian pharmacy prices on-line. And make no mistake. They are selling exactly the same drugs, made by the same pharmaceutical giants. But we digress. The point is: There are plenty of things to fix. And there are plenty of ways to be healthier. All for a lot less money. Seventy five is not some age where we are destined to sink into some sort of health quicksand. This Ezekiel Emanuel sort of thinking has no place in public policy. It’s the wrong discussion. We can rein in costs, we can improve quality and availability, and above all, we can stop making decisions that doom millions. 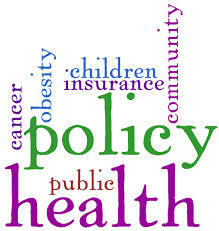 Policy should serve us. Medicare pays for the gym, and anyone that goes can skip their Medicare premiums as well. This alone would boost health enormously while saving billions. Stop subsidizing corn and starches. Why make the foods that cause the problems cheap? Isn’t it time to get on with it? We can stay healthy, vibrant, productive, and happy for well beyond 70. It takes some discipline and some work. But the path is there for those that want to follow it. The government and the ‘system’ shouldn’t be fighting this tooth and nail. Change medical philosophy, change the larcenous pricing, the idiotic policies. Things don’t have to be the way they are. Other countries aren’t operating this way. Will Emanuel someday change his tune? You may have a bit of a wait to find out. He’s only 58. PS Illustration of pricing insanity: this morning I had a patient with a prior heart bypass who won’t quite do the necessary to ‘fix’ his adult onset diabetes, he does, however get a ‘B,’ and who needed a coronary CTA: coronary computed tomographic angiogram. Before the test, which requires IV contrast, he needed a few blood tests to check kidney function. Now these tests cost my patients less than $15 cash. He, being a frugal man, asked the hospital how much the blood tests would cost him if he paid cash to have the tests performed at the hospital; it would save him time. The list price for the tests at the hospital, this will not be a typographical error, was $1,100.00. The CTA itself, list price, at the hospital was $9,000. I have another imaging facility, private, that does the test for $300. So, hospital list price, for the study and the labs was over $10,000.00 while I could send him to two private facilities and have the same studies done, in a nicer place by the way, for less than $500.00. We wound up getting Medicare preauthorization so he didn’t have to pay anything. Weird, bizarre, unjust, insane, irrational. Someone, someone with any money in their pocket and no insurance would wind up with a $10,000 bill and be pursued to bankruptcy court over the bill if they did not pay. Just now, real story! The debate of private vs government, of regulated vs unregulated is a complex debate to have but there is no sane argument for such pricing practices except extortion, bribery, or larceny; even if legal. Quantitative Medicine testing is getting cheaper by the year and, done right, can add hundreds of thousands of productive years to the population. Wow – great post! Our US medical insurance system has evolved to a care system based upon an acute reactionary paradigm. No real tangible benefit for those that put effort into improving their health and try in earnest to avoid declining health assumed incorrectly to be a natural part of life (what an irony). It is so out of balance especially in light of the premiums we pay. I thank you again for your efforts – I routinely recommend your posts to my friends and family hoping to spread the word. Vibrancy in life does not have to be lost simply because another year passes. Great post, and really important points!! I agree with Jim’s comments. Mike – really great post. This should be required reading for every congresman (and the president). I predict that when Zeke hits 74 his courage will diminish! Great article Dr. Mike! Keep changing lives! Mike: You make a very valid point about the bloated costs embedded in our 18% of GDP healthcare system as well as the ridiculous “list” price of things. And yes, the fact the Medicare can’t negotiate drug prices is the result of our wonderful dysfunctional political system where big money owns congress. My biggest beef about his article is his ridiculing of the “American immortal.” What can possibly be wrong with using your body and keeping as fit and as vibrant as long as possible? His counter point that we are living longer but more debilitated is undoubtedly statistically correct, but hardly proof that the “American Immortal” philosophy is wrong. I would postulate that this debilitation is because of all epidemic of lifestyle induced disease due to the idiotic “advice” from our government. I bet if you look at the debilitation of those without lifestyle induced disease you would see a different picture and success of the “American Immortal” philosophy as you no doubt see in your practice. Quantitative Medicine (I like the name) should be the norm for those who want to prolong the time to physical and mental debilitation, no doubt about it, and he’s flat out wrong to ridicule those who want to live as well as possible for as long as possible. Clearly we would all agree that being semi-comatose, bedridden, and kept alive by machines is not the way we want to end things. So now you start working backwards, (and ignore the flat out age 75 stake in the ground,) after *some* point it does make sense to refuse treatment which may prolong a lousier life and instead live a better shorter one. His point about the transition to palliative vs curative is valid and we will all make those choices when the time comes. The stupidity of Congress refusing to pay for end of life discussions under Medicare is just another symptom of our dysfunctional political system. The loss of productivity in the elderly is not debatable. If food were scarce, you feed the kids, moms, and hunters, and grandpa goes out on an ice floe. Food is plentiful so it’s no issue, but our technology has put us in a dilemma: Even if we rein in some of the excess costs in our medical system, we have so many boomers with lifestyle induced diseases, that the cost of extraordinary life prolonging technologies *will* indeed bankrupt the country if everyone choses to exercise their “right” to receive them and have the government pay for it. Lifestyle induced diseases aside, should we perform anything other than palliative care on an advanced Alzheimer’s patent? Other than his misuse of data to ridicule those trying to maintain their health, I think he’s stirring a pot which needs stirring. How unfortunate for US residents to have someone, like that eccentric (can’t even be bothered to spell his name) who is trying to influence the public that life is over after 75! Tragically , there still could be catastrophic affect amongst weak and vulnerable, if they will hear/read his messages. But not for strong-minded people, who cares about themselves. Across the Atlantic the person with such views would be advised (and would be) tested for his psychiatric condition. And treated accordingly. Also, the media would ‘eaten him up’, in fact, he wouldn’t have a chance even, except a low profile story, maybe. He is just having ‘his moment’, I think. This type of people come and go and you, great people, take it easy, because there will be NO dereliction of duty where your doctors are concerned! They are there forever for you, so far, for the rest of your life, because the change of the legal system is years of nightmare! I have very long way to go to 75 and I have no plans to ‘pack-in’, even if I may need a bit of treatment, like I needed recently, when my air-way narrowed by nearly 95%. I still carried on my duties as usual, but limited business calls to approx. 2 minutes (when I could), so that people at the other end would not have a chance to ‘figure it out’ what’s happened to me. On the streets people were turning their heads on from 15 m away, because of the noise of my breathing. Sometime they couldn’t understand where it was coming from. In one shop the customer thought that there was a dog under the counter, heavily breathing, ha ha. No causes were found, but my consultant-surgeon operated me with laser treatment and opened my air-way by 100%, which is still opened 100% without any changes, as I have a check every 6 months. I call it a ‘quick fix’, because I was in hospital just overnight! Now I am even having singing lessons, as my voice come back (Julie London style). So, be cheerful and take care. Great article and it is ironic that Ezekiel Emanuel would make that statement when we are at a major inflection point in medicine with the use of “big data” to reduce costs. ACA is the first step in that process. If interested, you should read Lohr’s new book, Data-ism.